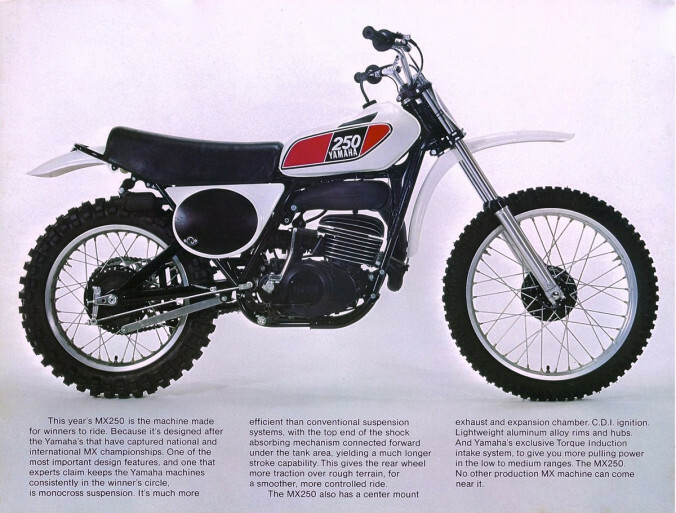 The vintage MX bikes are still popular. The 40+ year old electronics used in the OEM CDI are not so popular. They failed frequently and did not get better with age. 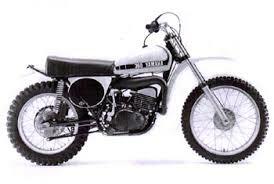 We have experience with the MX bikes from the 70’s, having owned & raced many at that time. 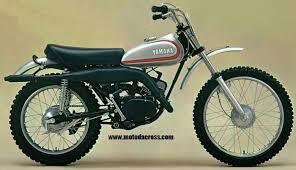 The FIREPLUG CDI is a modern ignition box replacement for the Vintage YAMAHA MX motorcycles. The FIREPLUG CDI uses the latest technology to increase spark energy and improve overall performance over the OEM CDI. Included is the FIREPLUG CDI reliability and warranty that has become the GOLD standard with our ignition modules. 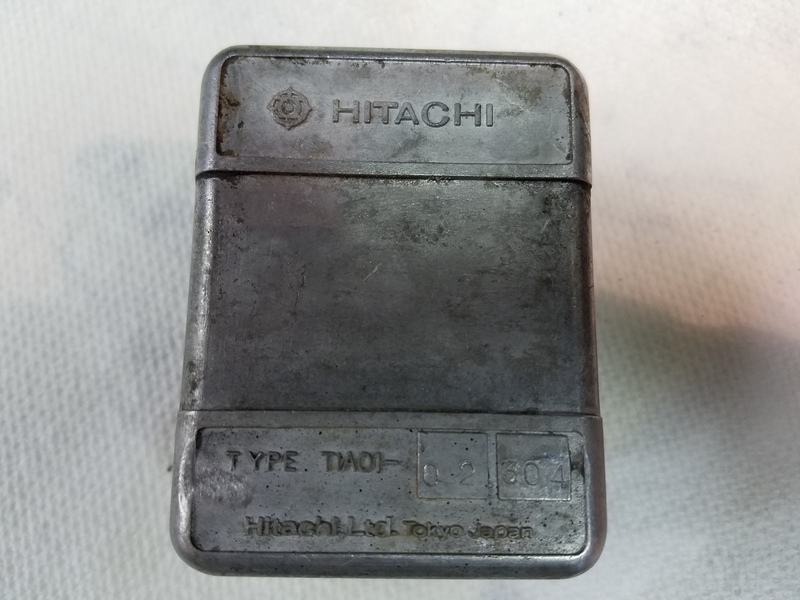 Nobody matches our reliability or warranty. 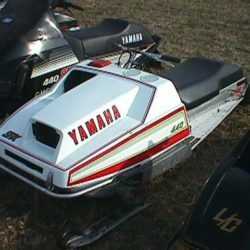 Replaces Yamaha OEM CDI ignition module 364-85540-13-00, as well as previous -11-00 & -12-00 versions. Plugs directly into the original OEM wiring harness. No wire splicing or cutting necessary. Mounts in original location using OEM strap. 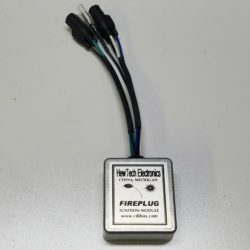 This is the 8-wire CDI, with (2) 3-pin plugs & (1) 2-pin plug (see picture). Follows OEM timing profile & harness. No timing change and no wire splicing required. 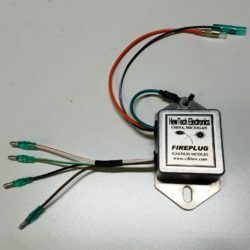 A plug-n-play installation that will bring back the spark you’ve been missing! 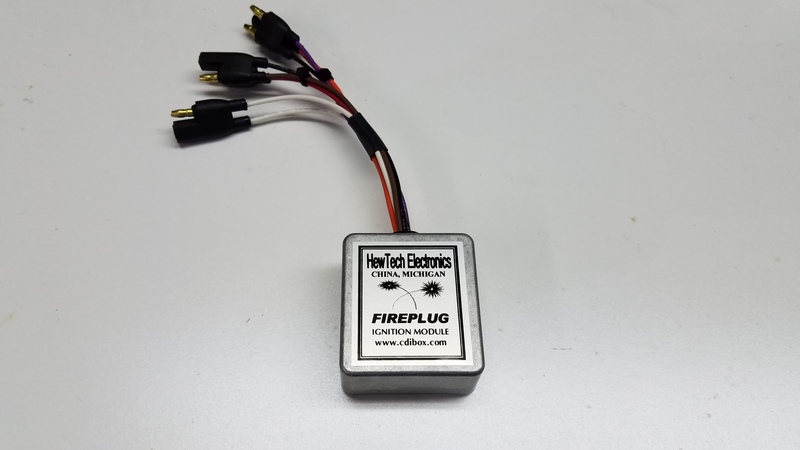 We have the option of providing the FIREPLUG CDI in our aluminum enclosure or re-building your existing CDI using your OEM enclosure (additional $25 charge applies). We will clean & glass-bead-blast your enclosure to make it appear as new. 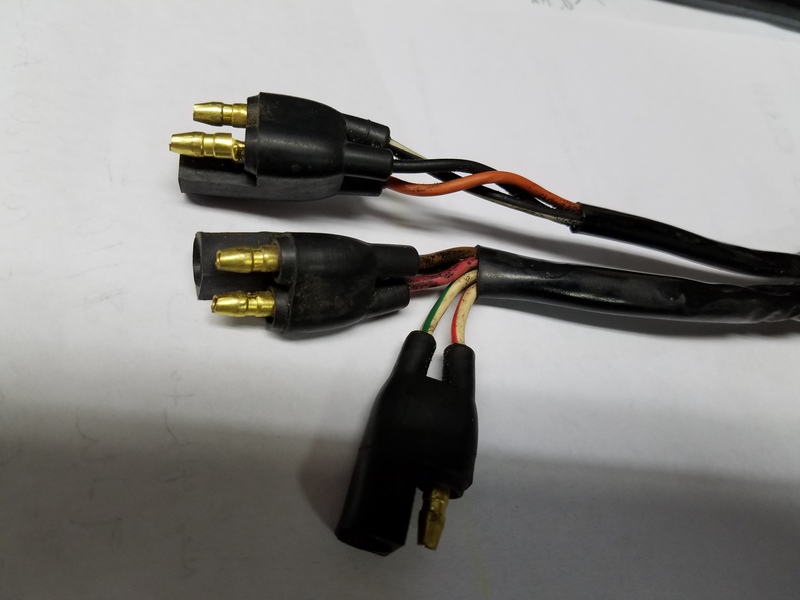 Install new OEM connectors & terminals, the CDI will appear to be NOS / OEM original for those who want to maintain the factory look. All FIREPLUG CDI’s have the unmatched FIREPLUG WARRANTY! We also rewind stators & can recondition / rewire your complete ignition stator plate & harness system. CONTACT US for details before ordering to discuss your application. NOTE: It is always good practice to check / verify the ignition timing & carburetor jetting whenever making changes to your engine. The OEM CDI spark energy will have weakened over time. Weak spark will tolerate too advanced timing & very lean jetting. Once you have good spark energy, you may find the bike really responds to larger jetting with improved performance. More fuel equals more power! Verify timing & adjust as needed for your style of riding. Always best to use factory timing as starting point, then adjust from there.